“The 1996 Nobel Prize in Chemistry was awarded to Smalley, Curl, Kroto for their discovery of fullerenes, or Buckyballs, spheres of 60 carbon atoms arranged in the shape of a geodesic dome (ie. Epcot Center left image), made famous by architect Richard Buckminster Fuller. The number of carbon atoms can vary. Carbon nanotubes are a byproduct of fullerene research ” Quote from Kevin Trow Department of Chemistry Monmouth College. Above left image: Spaceship Earth Geodesic Dome at night at the entrance to Epcot Disney World.Courtesy of Benjamin D. Esham and wikimedia commons. Left image: Geodesic Sphere, courtesy of wikimedia commons. The invention of the fullerene, or Bucky Ball, opened nanotechnology in medicine, and a rush to find new uses for these little molecular spheres. One potential use is a drug delivery system. (1) A drug molecule can be placed into the center of the fullerene, which serves as a molecular capsule to protect the drug from degradation, and allow delivery to the target tissue or organ. Examples are Gadolinium MRI contrast fullerenes, chemotherapy drug fullerenes, etc. A previous article discusses the importance of selenium and seleno-proteins as antioxidants which protect our cells from the damaging by-products of oxidation. An even more important antioxidant is Glutathione, a small molecule manufactured in the body using three amino acids L-cysteine, L-glutamic acid, and glycine. You won’t find this at the vitamin store because oral ingestion of glutathione is fruitless. Oral ingestion will not increase blood levels because the little glutathione molecule is oxidized and degraded rapidly. Some other means of delivery is needed. If we could fill the hollow center of carbon nano-tubules or carbon spheres with Glutathione, this might make a good delivery system. Dan Purser MD and the people at RealGSH.com have done this with their new product, a topical liquid Glutathione spray which delivers Glutathione through the skin into the circulation. To illustrate the importance of maintaining high intra-cellular glutathione levels, we can take a look at a few animal experiments with the glutathione depleting drug, BSO. This drug blocks production of glutathione, causing very low glutathione levels in the cell, with resulting massive damage to the mitochondria, the little energy producing organelles. This is where Glutathione is needed to quench the destructive by-products of oxidation, mostly the hydrogen peroxide (H2-02). We all know what this is, since we can buy a bottle of Hydrogen Peroxide Antiseptic Solution at the local drug store. Don’t drink it. though. It is used topically as an antiseptic for small cuts and abrasions. This is the oxidizing agent that can destroy our mitochondria if we are glutathione depleted. Left Image mitochondria courtesy of MIT Technology Review. The above quote from Dr Pieczenik gives you a brief overview of the major importance of glutathione levels in preventing and treating disease. Along with Vitamin C, Selenium, and Tocotrienol-Vitamin E. Glutathione is our most important anti-oxidant and protector of the mitochondria, and perhaps our most important medicinal weapon in the battle against aging and disease. Buy Lipospheric Glutathone on AMazon. J Control Release. 2011 May 30;152(1):2-12. Glutathione-responsive nano-vehicles as a promising platform for targeted intracellular drug and gene delivery. Cheng R, Feng F, Meng F, Deng C, Feijen J, Zhong Z. Source Biomedical Polymers Laboratory, and Jiangsu Key Laboratory of Advanced Functional Polymer Design and Application, College of Chemistry, Chemical Engineering and Materials Science, Soochow University, Suzhou 215123, PR China. The past couple of years have witnessed a tremendous progress in the development of glutathione-responsive nano-vehicles for targeted intracellular drug and gene delivery, as driven by the facts that (i) many therapeutics (e.g. anti-cancer drugs, photosensitizers, and anti-oxidants) and biotherapeutics (e.g. peptide and protein drugs, and siRNA) exert therapeutical effects only inside cells like the cytosol and cell nucleus, and (ii) several intracellular compartments such as cytosol, mitochondria, and cell nucleus contain a high concentration of glutathione (GSH) tripeptides (about 2-10 mM), which is 100 to 1000 times higher than that in the extracellular fluids and circulation (about 2-20 μM). Glutathione has been recognized as an ideal and ubiquitous internal stimulus for rapid destabilization of nano-carriers inside cells to accomplish efficient intracellular drug release. In this paper, we will review recent results on GSH-responsive nano-vehicles in particular micelles, nanoparticles, capsules, polymersomes, nanogels, dendritic and macromolecular drug conjugates, and nano-sized nucleic acid complexes for controlled delivery of anti-cancer drugs (e.g. doxorubicin and paclitaxel), photosensitizers, anti-oxidants, peptides, protein drugs, and nucleic acids (e.g. DNA, siRNA, and antisense oligodeoxynucleotide). The unique disulfide chemistry has enabled novel and versatile designs of multifunctional delivery systems addressing both intracellular and extracellular barriers. We are convinced that GSH-responsive nano-carrier systems have enormous potential in targeted cancer therapy. In 1996 Richard Smalley, Robert Curl, and Harold Kroto were awarded the Nobel Prize in chemistry for discovering a new form of carbon – the buckminster fullerene, or buckyball. A buckyball looks like a nanometer-sized soccer ball made from 60 carbon atoms. 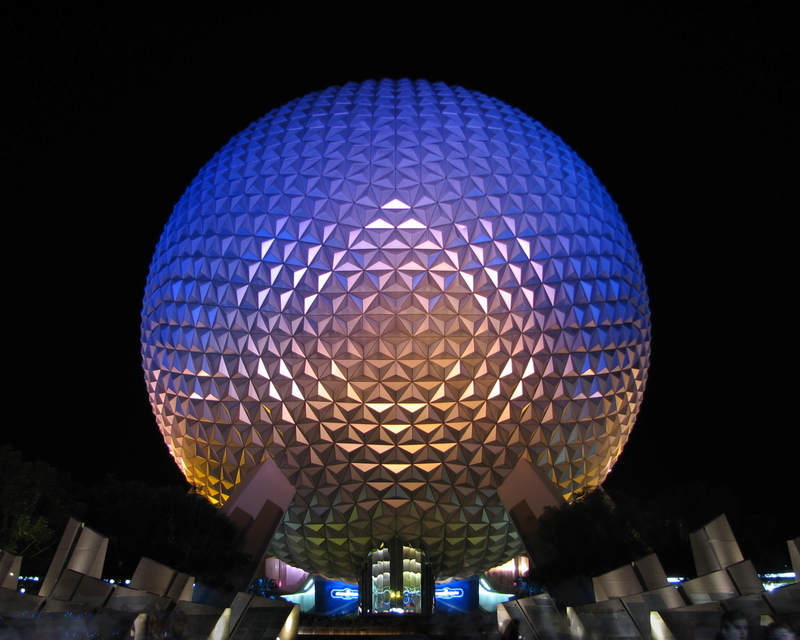 It was named after Buckminster Fuller, an architect who created geodesic dome structures, like the one in the middle of Disney’s Epcot Center. Carbon Nanotubes The structure of a carbon nanotube is like a sheet of graphite rolled up into a tube. Depending on the direction of hexagons, nanotubes can be classified as either zigzag, armchair or chiral. Different types of nanotubes have different properties. When scientists make nanotubes, they tend to get a mixture of several types. A major challenge in nanoscience today is finding a way to make just one type of nanotube. Mini Rev Med Chem. 2010 Jul;10(8):662-77. Fullerenes: from carbon to nanomedicine. Chawla P, Chawla V, Maheshwari R, Saraf SA, Saraf SK. Source Faculty of Pharmacy, Babu Banarasi Das National Institute of Technology and Management, Lucknow-227105, India. Medicinal applications of fullerenes. Bakry R, Vallant RM, Najam-ul-Haq M, Rainer M, Szabo Z, Huck CW, Bonn GK. Source Institute of Analytical Chemistry and Radiochemistry, Leopold-Franzens University of Innsbruck, Innrain 52a, 6020 Innsbruck, Austria. Fullerenes have been used as a carrier for gene and drug delivery systems. Furthermore the ability of fullerenes to penetrate through intact skin is widening their application in cellular drug and gene delivery (Ryman-Rasmussen et al 2006). A fullerene-based peptide was synthesized by Rouse et al and its ability to penetrate through flexed and unflexed skin was observed (Rouse et al 2007). For this study porcine skin was used as a model for human skin. Int J Nanomedicine. 2009; 4: 261–275. 6) Meister, A. “Glutathione-ascorbic acid antioxidant system in animals.” The Journal of biological chemistry 269.13 (1994): 9397. Buthionine sulphoximine (BSO) is an inhibitor of gamma-glutamylcysteine synthetase (gamma-GCS) and, consequently lowers tissue glutathione (GSH) concentrations. Depletion of glutathione by treatment with buthionine sulfoximine sensitizes cells to the toxic effects of heavy metals (46, 47), nitrogen mustards (48, 49), radiation (1, 2, 5), cisplatin (50), cyclophosphamide (51, 52), morphine (53), compounds that produce oxidative cytolysis (54), and others (55). in some patients with inherited glutathione disulfide reductase deficiency. not entirely, dependent upon glutathione and glutathione peroxidases. important consequence of glutathione deficiency in many tissues. Biol Chem. 2009 March; 390(3): 191–214. Overall, growing evidence supports the protective effect of GSH in neurodegenative disorders, and especially in Parkinson’s disease; however, no effective therapies have yet been identified that can enhance GSH levels in affected brain regions. In the central region of cataractous lenses, an increase in GSSG leads to an imbalanced GSH/GSSG ratio and extensive nuclear protein modifications, including oxidation, insolubilization, and cross-linking (David et al., 1984), along with a loss of GSH (Calvin et al., 1986). The retina is especially susceptible to oxidative stress because of its high consumption of oxygen and exposure to light. Likewise, GSH is a major antioxidant in the retina, and depletion of GSH has been associated with the etiology of two major retinopathies, age-related macular degeneration and glaucoma. Age-related macular degeneration is a complex multi-factorial disease that affects the central region of the retina. Although the exact etiology is not known, oxidative damage to the retinal pigment epithelium has been implicated in the pathogenesis of this disease (Young et al. 1987, 1988). In patients with exudative age-related macular degeneration, plasma GSH and total thiol content decrease significantly (Coral et al., 2006). Deficiency of GSH synthesis (Sternberg et al., 1993) and GSH recycling (Cohen et al., 1994) in the retinal epithelial cells may be responsible for the decline. The major cardiovascular diseases associated with redox imbalances are hypertension and atherosclerosis. As reviewed by Leopold and Loscalzo (2005), polymorphisms in antioxidant enzymes including glutathione peroxidases and glutathione S-transferases are associated with an increased risk of vascular disease due to increases in reactive oxygen species accumulation (Table 4). In particular, glutathione peroxidase polymorphisms appear to increase the risk of developing coronary heart disease, stroke, and cerebral venous thrombosis and glutathione S-transferase polymorphisms are associated with elevated inflammatory markers and an increased risk of coronary heart disease in smokers (Leopold and Loscalzo, 2005). Thioredoxin and glutaredoxin also play an important role in protection against cardiovascular disease through ameliorating the effects of reactive oxygen species and inflammation (Berndt et al., 2007). Changes in GSH levels and/or oxidation state have now been reported in nearly all major human diseases. Although in many cases these changes likely occur as a result of the underlying disease progression, in other cases these changes are closely linked to the onset and/or development of the disease. The growing recognition that GSH is involved in critical cell signaling pathways that are regulated by S-glutathionylation and/or by the thiol redox status, and that GSH may function as a neurotransmitter or neuromodulator, provides considerable new insight into possible links between GSH and disease progression, and raises additional questions that can be addressed experimentally. In addition, the recognition that GSH is intimately involved in so many disease states has generated considerable interest in identifying therapies aimed at modulating GSH levels so as to modulate disease risk or progression. Although such therapies have significant hurdles to overcome, they offer significant promise for many human diseases. Am J Hypertens. 2012 Jun;25(6):629-35. Cardiovascular and renal manifestations of glutathione depletion induced by buthionine sulfoximine. Vargas F, Rodríguez-Gómez I, Pérez-Abud R, Vargas Tendero P, Baca Y, Wangensteen R.Departamento de Fisiología, Facultad de Medicina, Granada, Spain. Oxidative stress contributes to the development of several cardiovascular diseases, including diabetes, renal insufficiency, and arterial hypertension. Animal studies have evidenced the association between higher blood pressure (BP) and increased oxidative stress, and treatment with antioxidants has been shown to reduce BP, while BP reduction due to antihypertensive drugs is associated with reduced oxidative stress. In 2000, it was first reported that oxidative stress and arterial hypertension were produced in normal Sprague-Dawley rats by oral administration of buthionine sulfoximine (BSO), which induces glutathione (GSH) depletion, indicating that oxidative stress may induce hypertension. The contribution of several potential pathogenic factors has been evaluated in the BSO rat model, the prototype of oxidative stress-induced hypertension, including vascular reactivity, endothelium-derived factors, renin-angiotensin system activity, TXA(2)-PGH(2) production, sodium sensitivity, renal dopamine-induced natriuresis, and sympathetic tone. This review summarizes the main factors implicated in the pathogenesis of BSO-induced hypertension and the alterations associated with GSH depletion that are related to renal function or BP control. FASEB J. 2010 Jul;24(7):2533-45. Depletion of GSH in glial cells induces neurotoxicity: relevance to aging and degenerative neurological diseases. Lee M, Cho T, Jantaratnotai N, Wang YT, McGeer E, McGeer PL. Source Kinsmen Laboratory of Neurological Research, University of British Columbia, 2255 Wesbrook Mall, Vancouver, BC, Canada V6T 1Z3. Oxidative stress induced by inhibition of glutathione (GSH) biosynthesis with D,L-buthionine-S,R-sulfoximine (BSO) causes human microglia, human astrocytes, THP-1 cells, and U373 cells to secrete materials toxic to human neuroblastoma SH-SY5Y cells and stimulates them to release TNF-alpha, IL-6, and nitrite ions. The effect is correlated with activation of the inflammatory pathways P38 MAP- kinase, Jun-N-terminal kinase, and NF-kappaB. The effect is reduced by adding to the medium GSH or clotrimazole (CTM), an inhibitor of Ca(2+)-influx through TRPM2 channels. It is also produced by inhibiting TRPM2 protein expression in microglia and astrocytes through introduction of its small inhibitory RNA (siRNA). TRPM2 mRNA is expressed by glial cells but not by SH-SY5Y cells. BSO in the culture medium causes an almost 3-fold increase in [Ca(2+)](i) in microglia and astrocytes over a 24-h period, which is reduced to half by the addition of CTM. The data strongly suggest that inhibiting intracellular GSH synthesis induces a neuroinflammatory response in human microglia and astrocytes, which is linked to Ca(2+) influx through TRPM2 channels. It represents a new model for inducing neuroinflammation and suggests that increasing GSH levels in glial cells may confer neuroprotection in neurodegenerative diseases, such as Alzheimer disease, which have a prominent neuroinflammatory component. Exp Mol Pathol. 2007 Aug;83(1):84-92. Epub 2007 Jan 18. Since the first mitochondrial dysfunction was described in the 1960s, the medicine has advanced in its understanding the role mitochondria play in health, disease, and aging. A wide range of seemingly unrelated disorders, such as schizophrenia, bipolar disease, dementia, Alzheimer’s disease, epilepsy, migraine headaches, strokes, neuropathic pain, Parkinson’s disease, ataxia, transient ischemic attack, cardiomyopathy, coronary artery disease, chronic fatigue syndrome, fibromyalgia, retinitis pigmentosa, diabetes, hepatitis C, and primary biliary cirrhosis, have underlying pathophysiological mechanisms in common, namely reactive oxygen species (ROS) production, the accumulation of mitochondrial DNA (mtDNA) damage, resulting in mitochondrial dysfunction. Antioxidant therapies hold promise for improving mitochondrial performance. Physicians seeking systematic treatments for their patients might consider testing urinary organic acids to determine how best to treat them. If in the next 50 years advances in mitochondrial treatments match the immense increase in knowledge about mitochondrial function that has occurred in the last 50 years, mitochondrial diseases and dysfunction will largely be a medical triumph. “The 1996 Nobel Prize in Chemistry was awarded to Richard E. Smalley, Robert F. Curl, Jr., and Sir Harold W. Kroto for their work with fullerenes. The discovery of fullerenes (also known as buckyballs) has generated tremendous excitement and opened up a new field of carbon chemistry. Buckyball is the terminology applied to a truncated icosahedron of 60 carbon atoms arranged in the shape of a geodesic dome (ie. Epcot Center upper left image), a structural marvel made famous in the late 1940’s by architect Richard Buckminster Fuller. The number of carbon atoms in these “spherical” structures can vary widely, thereby opening up doors to a multitude of interesting fullerene possibilities. Carbon nanotubes were originally discovered as a byproduct of fullerene research, are attracting much interest in the area of nano-technology.” Quote from Kevin Trow Department of Chemistry Monmouth College. This entry was posted in Fullerene, Glutathione and tagged antioxidant, buckminster fuller, bucky ball, dan purser, glutathione, mitochondria by Jeffrey Dach MD. Bookmark the permalink.